Did you know carrots weren’t always orange? I didn’t. Carrots used to be a variety of colours – yellow, red, purple, white and even black. In the 1500’s, Dutch growers bred carrots to make them less bitter. The result was an orange-coloured carrot that was claimed as the Royal vegetable in honour of the Dutch Royal Family, who were of the House of Orange. 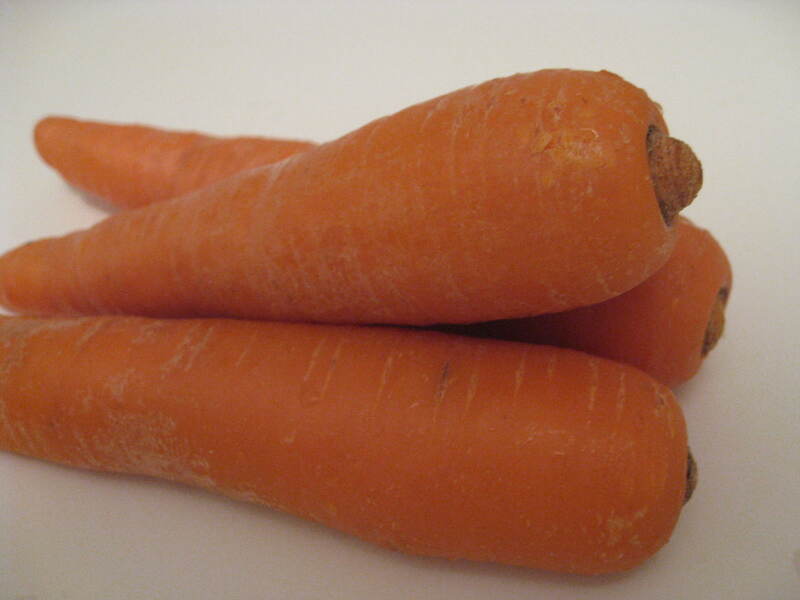 You can read more about the history of the carrot by visiting the online Carrot Museum. Who knew there was a Carrot Museum?? I didn’t! The things you learn every day…..
Poutine – classic Canadian fare? Every September I spend time promoting the goodness of eggs in the Egg Farmers of Ontario’s (EFO) booth at the Western Fair in London, Ontario and at the Plowing Match in ‘wherever’, Ontario. The location of the Plowing Match (an outdoor agricultural show) changes every year. This year it was held in Teeswater. The only constant about the location is that the site will be a farmer’s field somewhere in the province. Oh yeah, and it will likely rain before or during the Plowing Match, turning that farmer’s field into a muddy mess and making it mandatory to have a vehicle with four-wheel drive to get on and off the site, and rubber boots to tramp around the site. This year was no exception, at least at the start of the week! I’ve been going to the Western Fair and the Plowing Match for more years than I’d care to acknowledge. Thankfully, food choices have improved over the years. Where once you could just eat typical fair food like burgers, fries, pizza and chicken fingers, a selection of more wholesome choices are now options. This year in the Western Fair’s International Food and Travel Building, you could dine on pad thai, spring rolls, samosas, stir-fried vegetables, cabbage rolls, stuffed peppers, butter chicken and rice, and more. At both events, however, the most popular choice still seemed to be fries. I’ll confess I also indulged – fish and chips at the Western Fair, and poutine (pronounced poo-TIN) at the Plowing Match. Poutine - fries, cheese and gravy! Poutine is a much-loved messy, mushy combination of french fries and cheddar cheese curds smothered in gravy. 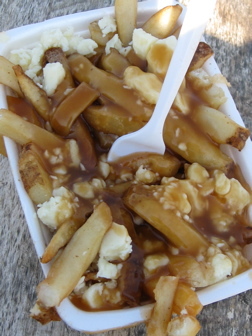 The dish had its origins in Quebec, although there is not unanimous agreement as to exactly where, when, why and how poutine became a diner’s delight. Similar dishes exist in other countries. Some people consider poutine quintessential Canadian fare. Others go so far as to hail it as our national dish! Personally, I doubt that the majority of Canadians outside of Quebec have even eaten this triple combination, let alone would rank it as classic Canadian food. 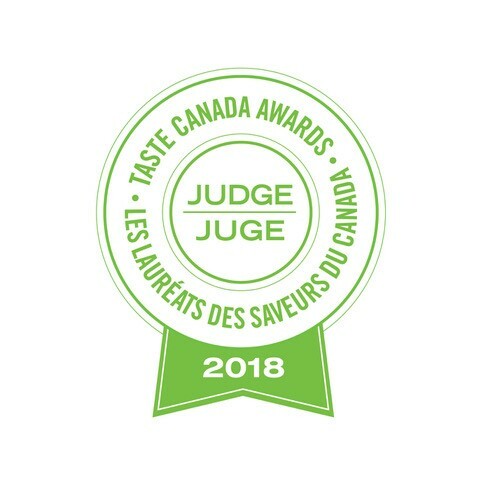 I had only eaten poutine once before last week when I chose it for my lunch one day at the Plowing Match – in the name of research for this blog, of course. And, because as I stood in line at the Chez Guy food tent pondering what to order for lunch, it looked darn tasty! So I succumbed to temptation. I had to stifle a gasp when the cashier asked for $6 for my potentially heart attack-inducing lunch. With my overflowing tub of fries, cheese and gravy and cheese in hand, I scurried off, head down, so as not to meet the gaze of anyone who might recognize me as the EFO nutritionist – the same person who had cautioned them (probably minutes earlier at the EFO booth!) that a diet high in saturated and trans fats could cause elevated blood cholesterol. I headed for a quiet corner of the Plowing Match to sit and eat my ‘triple threat’ lunch. I first took a few pictures, then forked a mouthful of the gooey mess into my mouth. Sadly, the gravy and fries were no longer hot. I still managed to down about a third of the generous portion, then decided it was probably wise to consider my research complete. I did conclude that although lukewarm and rather salty, poutine was a tasty combo. I could understand how it could be an addictive indulgence. Tip/Warning/Alert/All-Points Bulletin/Advice……whatever you want to call it! Please note: For the sake of your waistline and overall health, don’t become a poutine addict. I highly recommend not indulging too often. Why not? Consider the following example of the nutritional value of poutine when compared to what’s recommended for an adult consuming a 2,000 calorie diet. Menu planning purists might shudder at the thought, but corn on the cob is one of those foods you could make a meal of – all by itself! Just a plate of sweet golden steaming cobs of corn. OK, so you’ll probably add a little – or a lot – of melted butter. And a sprinkling of salt. Maybe you’ll even get rather messy eating ‘gobs of cobs’. But while your plate might lack the recommended variety of colors, shapes, textures and flavors a perfectly planned meal is supposed to contain, it has the edge where it really counts. In flavor! A simple meal of corn on the cob is more than acceptable, especially if it’s drizzled with a butter, or better yet – flavored butter. Flavored butters are easily made by combining seasonings like herbs and lemon or lime juice with softened or melted butter. Let these simple examples stimulate your creative juices so you can come up with your own favourite flavoured butters. * Choose ears with bright green color and tight fitting husks. The silk should be golden brown. You should be able to feel the kernels through the husks without having to pull back the husk to check for the quality of the ear. The kernels should feel plump and juicy and the rows should be tightly spaced. Avoid corn with soft spots or signs of decay. * As soon as corn is picked, its sugars begin to turn to starch. Fresh sweet corn should be eaten as soon as possible after buying. It will stay fresh for a couple of days, unhusked, in the refrigerator, preferably wrapped in damp paper towel in a plastic bag. For best quality, husk the corn just before cooking. * Husking corn or removing its outer leaves and inner silk is also known as shucking. The silk inside the husk can be difficult to remove. Try running a wet paper towel down the ear to grab some of the silky strands. * Corn can be prepared by boiling, steaming, oven roasting or grilling, or microwaving. To boil, fill a large pot with enough water to cover the corn. Don’t add salt to the water as it will toughen the corn. A teaspoon (5 mL) of sugar per quart (litre) of water will help to sweeten the corn although today’s sweet varieties of corn tend to be sugary enough for my tastes. Carefully slip the husked ears into the boiling water. Bring the water back to a boil and cook for 4 to 8 minutes depending on the age of the corn. Younger corn will take less time to cook. I tend to use aroma as a sign that the corn is cooked. When the kitchen smells like corn, it’s time to remove the ears from the water. Corn can be steamed over boiling water for 7 or 8 minutes, depending on the size of the ears. To oven roast or grill corn on the cob, peel back the husks but leave them attached at the base. Remove the silk; re-wrap the ears in their husks and tie with string or a piece of husk to hold the husks in place. Soak the ears in cold water for at least 30 minutes to increase the moisture and create some steam when the ears are roasted or grilled. Roast at 375F (190C) for about 15 minutes. Or grill the corn over medium heat or about 4 inches (10 cm) from hot coals, turning occasionally, until tender, about 15 minutes. You can also wrap husked corn in aluminum foil and roast or grill it for the same length of time. Cook corn in the microwave by placing four husked ears in a microwaveable baking dish; add 1/4 cup (60 mL) water. Cover with plastic wrap and cook on High power until tender, about 8 to 12 minutes. Let stand a minute or two before unwrapping. * One medium ear of corn will yield about 1 cup (250 mL) of corn. * Raw corn kernels can be cooked or stir fried, and raw or cooked kernels can be used to make muffins, bread, soup, salad, pancakes or pudding. * Kernels from leftover cooked corn can be removed from the ears and used in salads, soups, muffins or pancakes. * For a delicious base for soups or stews, create a corn broth by simmering leftover fresh or cooked cobs in milk or milk and water for 30 minutes. Discard the cobs. For corn purists, corn on the cob is the only way to enjoy fresh corn, but if you are looking for some simple recipes for using corn kernels, here are a few suggestions. In a small bowl, combine margarine and taco seasoning. Brush some of the mixture on corn, potato, zucchini, pepper and onion. Grill corn over medium heat for 5 minutes. Add remaining vegetables to grill. Grill until tender, 10 to 20 minutes, turning frequently. As vegetables are cooked, remove from grill and keep warm. Melt butter in a large skillet or medium saucepan over medium heat; add shallots and balsamic vinegar. Cook for 2 minutes, stirring frequently. Add corn and sauté for 4 or 5 minutes, stirring frequently. Add cherry tomatoes and basil. Sauté just until tomatoes are warmed through but not mushy, about 2 minutes.